Home décor is extremely diverse, with themes varying from country chic, to art deco, boho and more. But, ‘industrial style’ is one décor particular trend that has been gaining popularity for a fair while now and it would be no surprise if you found industry influenced designs in a multi million-pound property, just as much as you might find them in a warehouse. There is plenty of appeal in raw materials, clean lines and designs that are functional as well as beautiful, another reason as to why their popularity has boomed. The first trend to be looked at are concrete floors; their affordability, durability and easy-cleaning are making them become more commonplace in living spaces. Concrete is often used in warehouses because it can withstand plenty of pressure from heavy forklift and crane equipment. This means a drop of a plate, pets claws, high heels and furniture legs will not damage the surface. Many choose to polish their concrete floor to make it feel more ‘lived in’, also serving to make it easier to clean by creating a seal on the concrete. 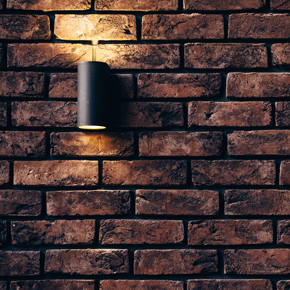 Exposed bricks have recently become an interior fashion statement but industrially, they are common place, as the use of the building doesn’t warrant the effort that goes into plastering and painting. These days, home owners often seek to introduce exposed bricks into their rooms, adding texture and contrast to a space that is otherwise very ‘finished’. In fact, many are using brick effect wallpaper to get the look if they cannot get achieve the authentic look. Regarding metal, as the industry relies heavily on steel, iron, aluminium and more for its strength, flexibility and ability to be forged and welded, it is little surprise that this trend is being copied in homes, though real industrial aficionados know to steer clear of ‘warm’ metals such as brass or gold, opting for cooler metals or those with a matt finish. After all, industrial style is all about functionality, not glitz and glamour. Industrial paints have been used in warehouses and commercial units to provide uplifting design and for those all important health and safety considerations. Anti-slip paint, thermal paints and even fire-retardant paints are common place in industry, but are beginning to feature in more domestic dwellings too. An example of this is some homeowners opting to use fire resistant paint on internal doors, as it provides insulation while delivering on style and, all importantly, scores points in the safety department too. Finally, there’s functional furniture. The kind of items that originated in industry, such as pallet crates, lockers, ladders and workbenches, are being turned into pieces of functional furniture. Old lockers are being used as storage in hallways, or even repainted and repurposed for use as kitchen cabinets, and ladders are regularly turned into shelving and towel rails. So next time you’re going through a homes and interiors magazine, see if you can spot any trends that may have their origins in industry!..